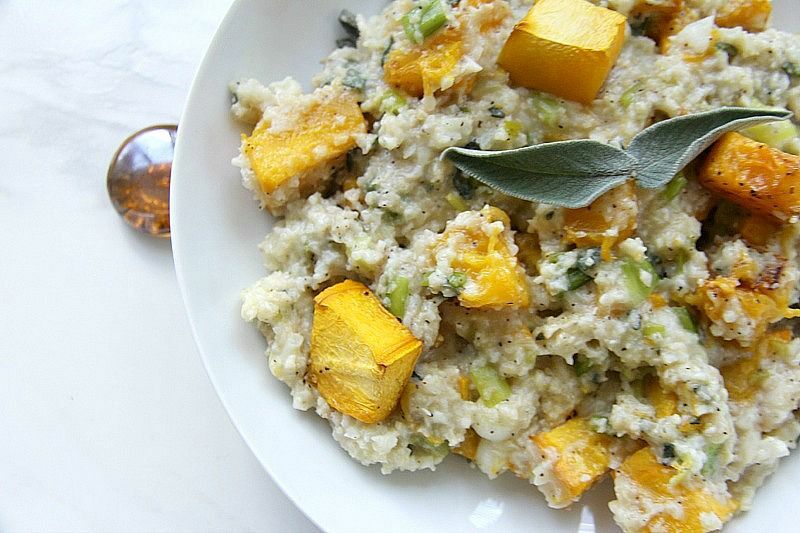 Drizzle one tablespoon olive oil over the pumpkin. Place on a roasting tin and roast for 30 minutes. Heat the remaining olive oil in a large pan over a medium heat. Add the onion and gently saute for about 5 minutes until tender. Add the cauliflower and toss to coat in the oil. 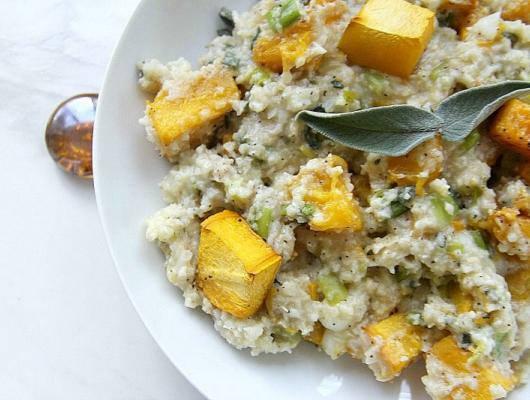 Pumpkin cauliflower risotto is a creamy and savoury main dish full of flavour. A health dish that is also a bowl of comfort food.